Worried About Cyber Security In The Online World? A number of questions keep coming up about security in the online world. Some of us do take the precautions to remain away from intruders. However, the question is if that is enough. The fact is that hackers find out ways and means to get hold of sensitive data. In fact, we must always ensure that we take enough measures for our cyber security. To our surprise, a hacker can intercept even the deleted browsing history. According to German experts, it is possible to get the browsing data of people. One has to simply intercept the clickstream data. Clickstream maintains the browsing details of the user. At the same time, the records of every click and every page visited are kept. This data is in demand for advertising purposes. No doubt, this again puts a question mark on cyber security. The researchers proved that they can easily identify even the anonymous users through data mining of records. One of the best ways to enhance your cyber security is through virtual private networks or VPN. This will help with browsing anonymously. In any case, it is still very important that you opt for one of the best online VPN service providers. Le VPN is one of the most dependable paid service providers. Of course! Le VPN servers are of the best quality. They have VPN servers in a number of countries. The company provides services across the globe. The best part is that Le VPN does not maintain the logs of the users. 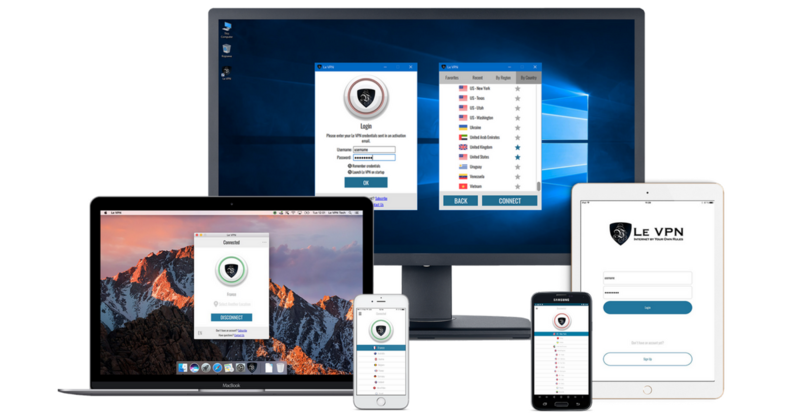 As a result, you can trust Le VPN for better cyber security. All that one needs to do is update the IP address of the system. Accordingly, you can overcome geo-restrictions. It will also make sure that you are safe online. Even when you are using a public Wi-Fi, you are safe. This is because hackers cannot intercept and get your browsing data. Le VPN is compatible with all internet enabled devices. You can easily install Le VPN different operating systems. It has apps that you can use for your smartphones. This protects you from intruders even when you are on the move. Le VPN makes sure that you do not compromise your cyber security. For the same, Le VPN uses top encryption. VPNs let computers to connect secretly over any public Wi-Fi. Therefore, your system is safe with Le VPN as the user’s computer is hidden behind its numerous VPN servers. With the fact that hackers can even obtain your deleted data, it is clear that an internet user is never safe. Make use of Le VPN for a more secure internet experience.